Essays are commonly used as literary criticism, political manifestos, learned arguments, observations of daily life, recollections, and reflections of the author. Almost all modern essays are written in prose, but works in verse have been dubbed essays (e.g., Alexander Pope's An Essay on Criticism and An Essay on Man). 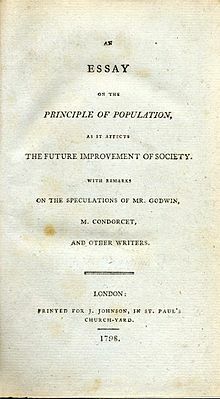 While brevity usually defines an essay, voluminous works like John Locke's An Essay Concerning Human Understanding and Thomas Malthus's An Essay on the Principle of Population are counterexamples. English essayists included Robert Burton (1577–1641) and Sir Thomas Browne (1605–1682). In France, Michel de Montaigne's three volume Essais in the mid 1500s contain over 100 examples widely regarded as the predecessor of the modern essay. In Italy, Baldassare Castiglione wrote about courtly manners in his essay Il Cortigiano. In the 17th century, the Jesuit Baltasar Gracián wrote about the theme of wisdom. 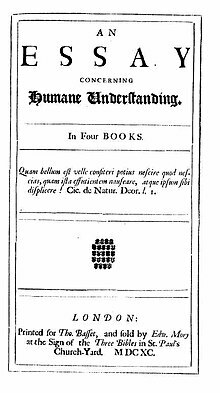 During the Age of Enlightenment, essays were a favored tool of polemicists who aimed at convincing readers of their position; they also featured heavily in the rise of periodical literature, as seen in the works of Joseph Addison, Richard Steele and Samuel Johnson. In the 18th and 19th centuries, Edmund Burke and Samuel Taylor Coleridge wrote essays for the general public. The early 19th century, in particular, saw a proliferation of great essayists in English – William Hazlitt, Charles Lamb, Leigh Hunt and Thomas de Quincey all penned numerous essays on diverse subjects. In the 20th century, a number of essayists tried to explain the new movements in art and culture by using essays (e.g., T.S. Eliot). Virginia Woolf, Edmund Wilson, and Charles du Bos wrote literary criticism essays. Expository essay is used to inform, describe or explain a topic, using important facts and teaching reader about the topic. Mostly written in third-person, using "it", "he", "she", "they". Expository essay uses formal language to discuss someone or something. Examples of expository essays are: a medical or biological condition, social or technological process, life or character of a famous person. Writing of expository essay often consists of following next steps: organizing thoughts (brainstorming), researching a topic, developing a thesis statement, writing the introduction, writing the body of essay, writing the conclusion. Expository essays are often assigned as a part of SAT and other standardized testings or as a homework for high school and college students. A process essay is used for an explanation of making or breaking something. Often, it is written in chronological order or numerical order to show step-by-step processes. It has all the qualities of a technical document with the only difference is that it is often written in descriptive mood, while a technical document is mostly in imperative mood. In countries like the United States and the United Kingdom, essays have become a major part of a formal education in the form of free response questions. Secondary students in these countries are taught structured essay formats to improve their writing skills, and essays are often used by universities in these countries in selecting applicants (see admissions essay). In both secondary and tertiary education, essays are used to judge the mastery and comprehension of the material. Students are asked to explain, comment on, or assess a topic of study in the form of an essay. In some courses, university students must complete one or more essays over several weeks or months. In addition, in fields such as the humanities and social sciences, mid-term and end of term examinations often require students to write a short essay in two or three hours. The genre is not well-defined but might include propaganda works of early Soviet parliamentarians like Dziga Vertov, present-day filmmakers including Chris Marker, Michael Moore (Roger & Me (1989), Bowling for Columbine (2002) and Fahrenheit 9/11 (2004)), Errol Morris (The Thin Blue Line (1988)), Morgan Spurlock (Supersize Me: A Film of Epic Portions) and Agnès Varda. Jean-Luc Godard describes his recent work as "film-essays". Two filmmakers whose work was the antecedent to the cinematic essay include Georges Méliès and Bertolt Brecht. Méliès made a short film (The Coronation of Edward VII (1902)) about the 1902 coronation of King Edward VII, which mixes actual footage with shots of a recreation of the event. Brecht was a playwright who experimented with film and incorporated film projections into some of his plays. Orson Welles made an essay film in his own pioneering style, released in 1974, called F for Fake, which dealt specifically with art forger Elmyr de Hory and with the themes of deception, "fakery," and authenticity in general. These are often published online on video hosting services. In the visual arts, an essay is a preliminary drawing or sketch that forms a basis for a final painting or sculpture, made as a test of the work's composition (this meaning of the term, like several of those following, comes from the word essay's meaning of "attempt" or "trial"). ^ Gale – Free Resources – Glossary – DE Archived 2010-04-25 at the Wayback Machine. Gale.cengage.com. Retrieved March 23, 2011. ^ Aldous Huxley, Collected Essays, "Preface", London: Harper and Brothers, 1960, p. v.
^ a b essay (literature) – Britannica Online Encyclopedia Archived 2009-12-04 at the Wayback Machine. Britannica.com. Retrieved March 22, 2011. ^ Chapter 7: Cause and Effect in Glenn, Cheryl. Making Sense: A Real-World Rhetorical Reader. Ed. Denise B. Wydra, et al. Second ed. Boston, MA: Bedford/St. Martin's, 2005. ^ Chapter 5: Classification and Division in Glenn, Cheryl. Making Sense: A Real-World Rhetorical Reader. Ed. Denise B. Wydra, et al. Second ed. Boston, MA: Bedford/St. Martin's, 2005. ^ Chapter 6: Comparison and Contrast in Glenn, Cheryl. Making Sense: A Real-World Rhetorical Reader. Ed. Denise B. Wydra, et al. Second ed. Boston, MA: Bedford/St. Martin's, 2005. ^ "Subject Verb Agreement" (PDF). Nova Southeastern University. ^ Chapter 2: Description in Glenn, Cheryl. Making Sense: A Real-World Rhetorical Reader. Ed. Denise B. Wydra, et al. Second ed. Boston, MA: Bedford/St. Martin's, 2005. ^ "How to Write an Ethics Paper (with Pictures)". wikiHow. Archived from the original on 2016-08-28. Retrieved 2016-07-01. ^ Chapter 4: Exemplification in Glenn, Cheryl. Making Sense: A Real-World Rhetorical Reader. Ed. Denise B. Wydra, et al. Second ed. Boston, MA: Bedford/St. Martin's, 2005. ^ Fadiman, At Large and At Small, xi. ^ Chapter 3 Narration in Glenn, Cheryl. Making Sense: A Real-World Rhetorical Reader. Ed. Denise B. Wydra, et al. Second ed. Boston, MA: Bedford/St. Martin's, 2005. ^ "Examples and Definition of Process Essay". Literary Devices. 2017-04-04. Retrieved 2018-11-07. ^ "'Mission Possible' by Dr. Mario Petrucci" (PDF). Archived from the original on 2014-10-26. Retrieved 2014-10-25. ^ a b Cinematic Essay Film Genre Archived 2007-08-08 at the Wayback Machine. chicagomediaworks.com. Retrieved March 22, 2011. ^ (registration required) Lim, Dennis (July 31, 2012). "Chris Marker, 91, Pioneer of the Essay Film" Archived 2012-08-03 at the Wayback Machine. The New York Times. Retrieved July 31, 2012. ^ Discussion of film essays Archived 2007-08-08 at the Wayback Machine. Chicago Media Works. ^ "Talking Pictures: The Art of the Essay Film". Cinema.wisc.edu. Retrieved March 22, 2011.